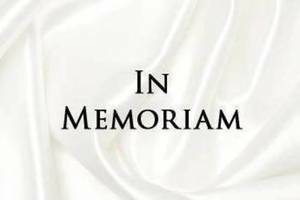 Michael A. Lanza, 35 of Scotch Plains passed away suddenly on Wednesday, Feb. 22, 2017. Relatives and friends are kindly invited to visit the Dooley Colonial Home; 556 Westfield Ave., Westfield on Sunday from 2-5 pm. Mass of Christian Burial will be celebrated on Monday at 10 am at St. Helen’s Church, Westfield. Michael was born and raised in Westfield and has lived in Scotch Plains with his family. He graduated from Westfield High School in 2000 and the Union County Fire Academy. Michael has been a Westfield firefighter and EMT since July 2003. He was a member of Local 30 FMBA. He was the beloved husband of Annett Lanza. Devoted father of Anthony and Charlotte. Loving son of Glenn and Ellen Lanza. He will also be deeply missed by his brothers Brian and David.